Machu Picchu is the subject of fantasy and dreams and more than a few tall stories have been told about it. I did some research and discovered that most of the outlandish rumors about this incredible place are true. What follows is a list of 10 indisputable Machu Picchu facts. Machu Picchu is a Quechua word meaning ‘old peak’. Machu Picchu has some pretty impressive numbers. Located at 7,970 feet above sea level and built in the early 1400s, the site covers 80,000 acres. A visit to Cusco or any other Inca settlement will show you how ruthless the Spanish conquistadores were on the Incas’ architectural masterpieces. The only reason Machu Picchu escaped sacking was that its remote location kept it hidden from the Spanish (and subsequent Western arrivals) for hundreds of years. Machu Picchu may never have been conquered by the Spanish, but the Incas’ defeat at Spanish hands did force them to abandon the site long before it was ‘discovered’ by Hiram Bingham, the Yale academic who first saw the ruins in 1911. The stones which were used to construct Machu Picchu were all carted to the site by hand: the Incas never discovered the wheel, and they wouldn’t have used pack animals for such demanding tasks. Inca stone masonry was exceptional and not a single spade of mortar was used in the construction of Machu Picchu. The Incas cut each stone block by hand, usually along natural fault lines in the rock, and wedged them together so closely that the blade of a knife cannot be inserted between two stones. If you take the time to read Machu Picchu’s rules of entry, you’ll notice one pretty odd stipulation: it is illegal to enter the ruins dressed in another country’s national dress. At least this will save you having to pack the kilt. If you’re able to do the Inca Trail (or the Salkantay trek to Machu Picchu) you may see that your guides and porters put a small mirror, face down, under their sleeping mat at night. This is an attempt to prevent evil spirits from coming out of the earth and attacking them. Many visitors to Machu Picchu get up at the crack of dawn in the hope of being among the lucky 400 who are allowed to hike to the top of Huayna Picchu for sunrise. A great, and far less crowded, alternative hike is the one up Machu Picchu mountain. It sees far less tourist pressure and offers equally spectacular views. Be warned: it is a bit more physically demanding than the Huayna Picchu hike. 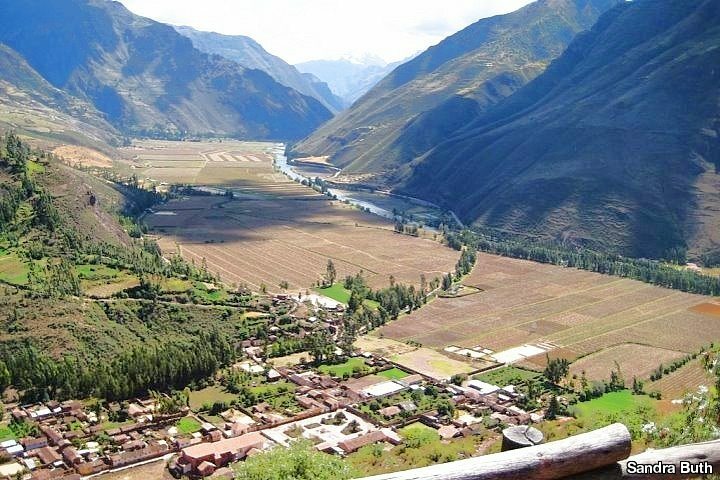 For mere mortals the Inca trail is a grueling physical challenge when completed over four or five days. There is, however, a crazy band of athletes who compete in the annual 26.2 mile Inca Trail marathon. The mind-boggling all-time record is a shade under four hours. These were the 10 facts which fascinated me most, but there’s plenty more to discover about Machu Picchu. And the best way to do so is by traveling to Peru and seeing it for yourself.